100% alpaca yarn, like the yarn shown above, has washing instructions on the yarn label. For this yarn, it is handwashing only in cold water. Gentle handwashing versus the washing machine can mean the difference between a sweater that fits and one that is suddenly several sizes too small. What happens when you toss a knitted or crocheted item into the washing machine? It can be fulled (not felted) or it doesn’t – what makes this difference? The type of fibre makes a huge difference in what happens to the final product. If you take animal fibres (i.e. wool, which comes from sheep) and make it up into a fabric (i.e. crochet, knit or weave with it) and subject it to water, agitation and (sometimes) heat, you get a dense fabric. For example, say you knit a pair of mittens for someone out of wool and then they toss those mittens into the washing machine. And then they come out roughly the size of an infant’s finger. The mittens will have shrank, the stitches are no longer visible and the fabric is dense. How is that different from felting? Felting is done with the same fibres, but you don’t make it up into a fabric first. You can buy premade felt made in natural fibres or acrylic-wool blends felt – you can buy sheets of felt at general craft stores or dollar stores. Felt is a really useful material that can be used for making stuffies, as accents for amigurumis as well for making accessories like mp3 player sleeves. Some examples are wool, angora, mohair, alpaca. Animal fibres have scales (so does the hair on your head) and when there’s friction, the scales will bond together – that is why when you toss a sweater into the washing machine and it goes from a small to an extra, extra small, it can’t go back to being a small again. What if you don’t want your project to be fulled? You can use “superwash wool” – it’s a type of wool that’s been chemically treated so that it cannot be felted. You can also choose to use synthetic yarns (i.e. acrylic, nylon, etc.) or plant-based yarns (like cotton) or even some animal-based yarns (i.e. 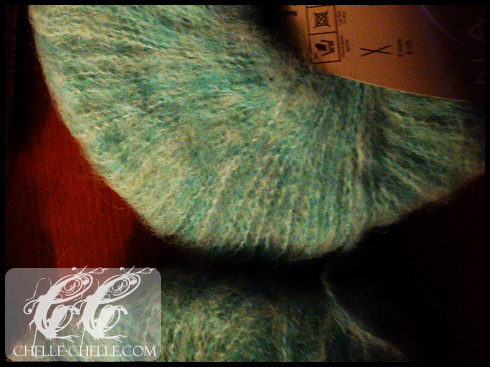 with a sufficient amount of acrylic in the blend or qiviut, which is the wool from muskox). Always check the yarn label! If it says that it is not machine washable, it is likely going to full. If it says to only handwash, it is likely going to full. If the majority of the fibre is animal fibre – it is likely going to full (even some wool-acrylic blends will full a little bit, depending on the percentage of wool). Also, it is easier to control the amount of fulling when you do it by hand versus tossing it into the washing machine (you also produce, on average, less lint and can evenly full it so that all of it looks the way you want).